Custom Embroidered Shirts Orange & Riverside County | Employee Apparel Los Angeles county Welcome to Garza Industries! Custom Apparel- Custom Embroidered Shirts and More! Branding is a critical part of every business and one that becomes increasingly important as a company grows and expands the market they serve. For any business where visibility is important, custom embroidered shirts, hats, or jackets offer a fantastic option to add to your branding and marketing efforts with great results. The key to creating the best custom apparel is in highlighting the parts of your business that you want people to remember. Do you have a catchy slogan or logo? Have you won any competitions or awards? Maybe your business is marking an anniversary. All of these make great design ideas for custom apparel. It’s also important to select a garment style that fits the application or use. Tradeshows, sales staff, warehouse and delivery, food service, construction are all different jobs with different demands. Have your logo screen printed or embroidered to showcase our brand. Our product line includes shirt styles from polos to hoodies to jackets and everything in between. Design options include screen printing and custom embroidery. Send us a design and we’ll do the rest! Whether you’re making employee apparel or stocking up for giveaways, we can handle it all! 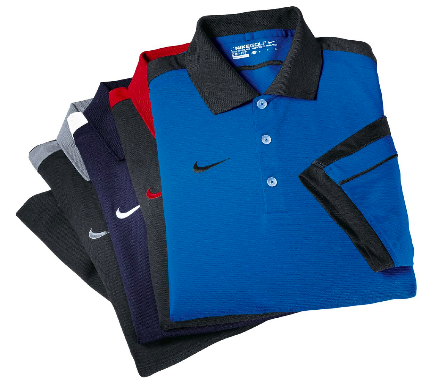 Embroidery provides a long-lasting, quality design on shirts for employees or customer giveaways. We have a wide range of products available for embroidering. Jackets, half-zips, hoodies, polos and dress shirts all make great options for adding an embroidered design. For a lower cost option that is perfect for larger event giveaways, trade fairs or promotions, screen printed apparel is a highly visible and extremely useful marketing tool. These custom shirts can be designed for a particular event or as staff shirts for everyday wear. Call us at 800-716-4408 or open an account online for the custom embroidered shirts you need for your promotional efforts. We deliver to Orange County, Riverside County, Los Angeles County and across the nation.